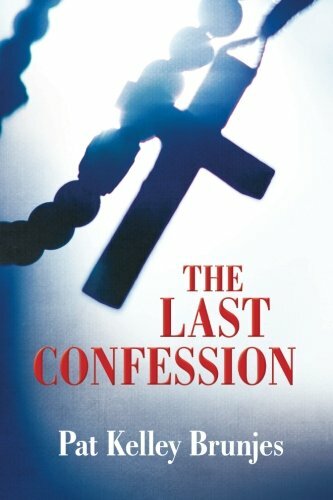 “The Last Confession” by Pat Kelley Brunjes is about a young female journalist, Mary Margaret (Maggie) Callahan, delving into a local Church’s past in order to learn the truth about a decades old family legend: that her great-aunt had shot a priest in the 1930s. The premise of the novel is unique and offers intrigue, but I felt that the writing of the story itself was rather two-dimensional at times. “The Last Confession” seemingly centers around themes of faith, finding oneself, trust, and love. I believe that the novel is intended for a general adult audience. “The Last Confession” is written with language that at some points tries to be too flowery, but still creates some beautiful images in the minds of a reader. The author definitely has a knack for describing the physical aspects that make up the environmental surroundings of a good story. I did note, however, that there were quite a few typing errors in this particular version, so it may be beneficial to go back through and edit more closely for mechanical errors. Brunjes’ novel has wonderful potential, but to me it falls short. It’s missing that “hook” which really incites interest in readers and makes them want to read and read and read until they have reached the end of the story. There is a lack of characterization in reference to the main character. I also found some confusion pertaining to what decade this story takes place in. There is no indication that it takes place in any time other than modern day America, but some of the language used by the characters made me question the realistic-nature of the setting for the novel. For example, it is notable that having a mobile phone is something that Maggie felt was unusual or pretentious enough to use her work as an excuse for having one in the first place. Cell phones have been around for quite a while now, so this kind of reference felt out of place in this particular setting. My conclusion about the shortcomings of “The Last Confession” by Pat Kelley Brunjes, make me believe that the author simply tried too hard in some places to make the novel seem extraordinary. Sometimes in writing the simplest words can have the greatest impact, and I know personally that when I have focused too much on what I want for the outcome of a story, I often overcompensate. I have definitely had many professors and peers tell me that I used too much ‘flowery language’ and that led to too much exposition. I have also learned that trying to write more simply also ironically helps when trying to deepen a plot or character. As writers, we want readers to connect with our stories as much as we want them to admire our talents as authors, and we have to remember that general audiences are not looking for grandiose vocabulary and density, they just want stories that they can find themselves in. Reading is about both escaping to a new place and becoming a different person and using the story to help us learn secrets about ourselves along the way. As stipulated by Occam’s razor (which coincidentally was coined by an English friar): most of the time the simplest answers are the best ones.